Water is a highly contested resource. 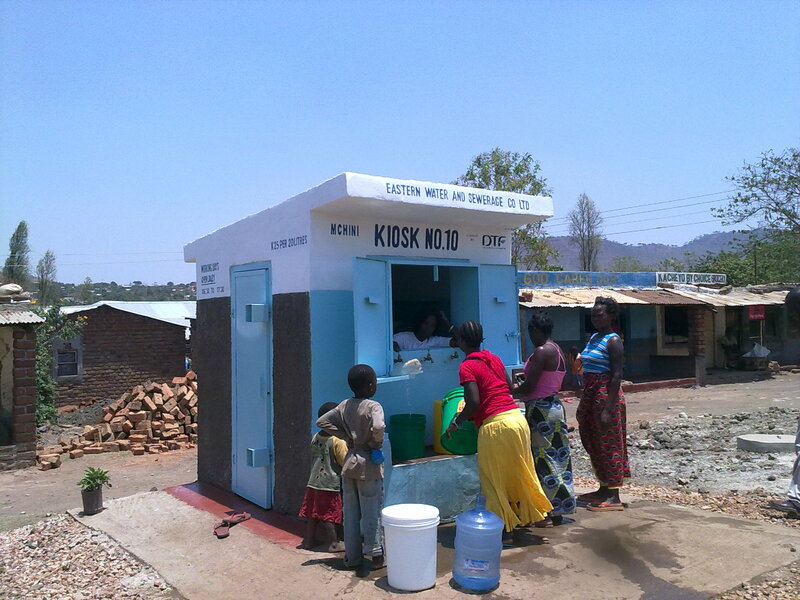 Some say it is the new oil and predict that conflicts about access to water will be on the rise in the near future. Reason for us to take a closer look at policy making in the water sector. We map crisis areas, highlight innovative ways to minimize risk from floods in Pakistan, dissect what is at stake in cross-border water resource management in the Middle East and get an idea how to tackle corruption in the water sector in Zambia. Guiding question is what role do policy makers and civil society can play in ensuring access to water. In the 21st century, the scope of biodiversity degradation and loss has reached alarming levels, and the possibilities to achieve sustainable development goals appear terribly distant. Of all of man's activities, agriculture is one of the most demanding on land. Land is in short supply. The quality and landscape affects the configuration of farming that we get. Consistent with the growing complexity of temperatures and rainfalls have made farmers and local people of Babessi, one time known for its special bushes, plants, animals and forest to ghastly change their methods of farming and exploitations of natural resources to a very compromising system to their environment. Babessi is a small village of close to 12 000 people, head quarter of the Babessi Sub division found in the Ngoketunjia Division- North West region of Cameroon. “Madoh” stream fresh water sources in Babessi drying up, but people, pigs and cows drink from it. Today when you visit the small village you discover that the great species of plants and animals that use to exist 10-15 years ago are no longer there or have lost almost all of its population. These have been lost to fire burns, agricultural expansion, construction, logging and an unexplained change in the climate. This unfriendly method of farming and exploiting the environment is what Wangari Maathai, Nobel peace Prize Winner had denoted in her book: “The Challenge for Africa” while talking about the dilemma of the woman of Yaounde’s farming practices. “The little patches of forest that I knew when I was growing up is becoming very scanty” Said Nchofua Festus, Natural scientist and native of Babessi. He disclosed, “After the floods in 2012, Babessi is now faced with another water problem but this time around the lack of potable water”... Climate change is gravely felt by the people of Babessi. The local streams (Madoh and Manda) that use to serve as a source to Pipe borne water and fresh water sources are drying up and very small water flow from these sources in the dry season. Because of this, many people are forced to go to the wells or use the same fresh water sources for washing and drinking which they sometimes share with pigs and cows. “Manda” one of the fresh water sources helping more than 900 people in the village is now causing more problems to the people who visit it than before. It now serves as a dump for all kinds of things. A little visit to the stream; you are welcomed by hips of plastics and greasy substances on the water channel. That is why at the lone Government Health center’s visits per day for the sick surpass 10. Tap at the Babessi Health Center, the lone place where someone can find potable water once in a blue moon in the dry season. The recent reports from the climate Change Center released on the 8th of January, 2015 say temperatures will continue to rise in this area, if forest and land degradation continues. Also, the report projects for future climate change scenarios, unevenly distributed rainfall but prolonged rainy seasons that might consequently lead to more flooding or soil wash.
Kenya’s capital Nairobi means “A place of cool waters”, a name derived from the Maasai tribe over a century ago. Nairobi was then a fertile land, full of life, where man was one with nature. Its natives understood her worth and respected her contribution to their daily needs. Thus, Nairobi was a scene of pure raw natural beauty undisturbed by man’s quest for modernity. Then times changed, and there came the need for global industrial development and this once great land has been slowly dying from the effects of man’s quest for manufactured goods. Trees were cut in their hundreds and land was cleared to pave way for small administrative centres, that further grew into the current cities and towns we have today. These past environmental recklessness continued after independence as Nairobi strived to be part of a world now steeped in industrial globalisation, as with the case with much of Africa then. Now, its main river Nairobi stands as a true testament to the effects of environmental neglect that has prevailed since then. Due to rapid economic developments in Nairobi compared to rural areas, the thirst for a better living has led to the ever-growing rural –urban migration that is largely settling along its riverbed. 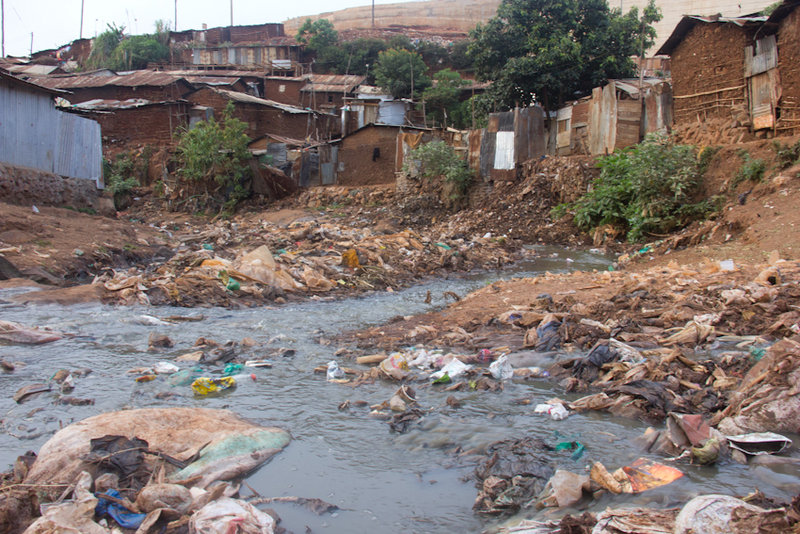 The situation is further worsened by lack of proper urban planning systems governing the region, leading to the mushrooming of forty-six different informal settlements along the Nairobi riverbed. These settlements lack vital water and sewage systems thus, turning the river into a sewer. Now, Nairobi River is more of a curse than blessing. 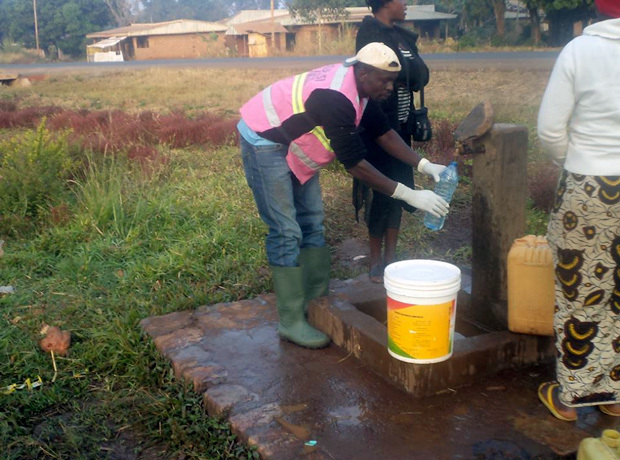 The stagnant water acts as a breeding zone for mosquitos and further spreads communicable disease such as typhoid and cholera that have claimed the lives of innocent children. This is a worrying trend since in the year 2012, it is estimated by Data Dregler that twenty eight million people in Kenya were at risk of contracting malaria. This is brought to stark reality by another sobering statistic; one in every twenty malaria caused deaths worldwide, occurred in Kenya. However, one community is fighting this and hoping to re-write the tale of Nairobi River, that drains itself into the Indian Ocean. Residents of Kibera, the most populous slum in Africa and one of the biggest in the world, are helping to propel the cleaning of the Nairobi River. 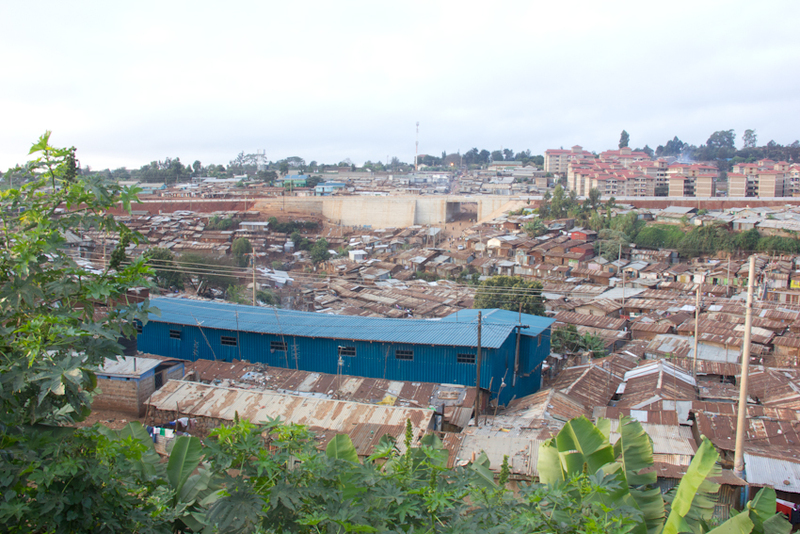 Kibera is home to over five hundred thousand people. Their sheer numbers have meant that shelters are cramped together. Pushing them literally inches next to the river. Thus in the cause of the rainy season, homes and walk paths get flooded with sewage from the river. This has made them look for an avenue to be part and parcel of the ecosystem. Therefore making them agents of change for the betterment of the environment. Faced with environmental pollution that has claimed their numbers they have embraced good environmental practises that are aiding restoration efforts. According to Josiah Omotto, the managing Trustee of the Human Rights agency Umande Trust, Kenya’s informal settlement stands at sixty per cent of the total population of Nairobi. This roughly translates to two million, four hundred thousand people. Thus if an average person accounts for about three hundred grams of human waste daily, then Nairobi’s informal settlement contribute about seven hundred and twenty thousand kilograms of waste every day. This waste more often than not usually finds its way into the Nairobi River. The residents have partnered with Umande trust, a non-governmental organisation, to build three storey Bio Centres across Kibera. The Bio Centres have been structured skilfully and purposefully to capture and contain human waste later turning them into biogas. These centres have many advantages. Just to name that they assist in providing a central area where human waste can be gathered, reducing human pollution in the Nairobi River. It has also aided in provision of a secure location for man’s sanitary needs. Young pupils from across Nairobi have become advocates of the environment. They educate others on the need to clean the river. Their involvements in other communal cleaning campaigns have helped in the physical cleaning of the river. This role is as a result of the National Environment Management Authority (Nema) having environmental essay competitions that have helped drive home the need to be green. This according to Leah, a resident of Silanga one of the nine villages that make up Kibera, is bearing fruit. She states that the cleaning of the river and waste around one’s home and region has become a necessity that is aiding a better-sanitized environment. Through this initiative, she hopes that an amicable solution regarding Kibera’s drainage woes will be solved one day in her lifetime. It is of note that the physical clean up of the river has yielded good outcomes as seen in areas such as the Globe Roundabout and Gikomba. Still, such efforts are usually slowed down by spills from bursting drainage systems across the city. There are numerous plastic products being dumped into the river, most notably plastic paper bags majorly used to carry purchased products from various supermarkets in the region. This is a major setback to the restoration process since plastics are not recyclable. This problem can be addressed if the government enforced laws that govern the use of plastics in the country. Water hyacinth are is also a great dilemma facing Kenya’s water channels. From lake victoria to Nairobi River Dam, the water plant is clogging the system. Built in 1953, Nairobi Dam was a source of fresh water for the growing city. In the late eighties and early nineties it was turned into a water park where sailing, swimming, fishing, diving and picnicking became a source of revenue to clubs around the region. Currently, the dam is covered to the brim with the weed making it inhabitable for most aquatic ecosystems. It has now become an environmental hazard that is eating into government budget annually. For example, the dam’s next clean-up exercise is if approved is set to cost the government, two hundred million Kenya shilling. However, these challenges can be addressed. More laws can be created and implemented in order to protect the environment for a greener tomorrow. As an example, look at the wildlife policies that are in place. Back in the late eighties and nineties poaching was very rampant. It nearly wiped out our elephant and rhino numbers. Now twenty years on the elephant and rhino numbers has been on the rise. Even though poaching is still a cause to worry over, harsh laws that govern wildlife have helped curb the vice. This proves that it is possible to mitigate the upsurge of pollution if proper laws are drafted and implemented. A big challenge still remains, that we need to foster a generation of environmental hero’s. This task will be difficult but highly rewarding if seen through, keeping in mind too, the phrase “prevention is better than cure”. And as Lao Tzu, the Chinese philosopher, stated, “A journey of a thousand miles begins with a single step. 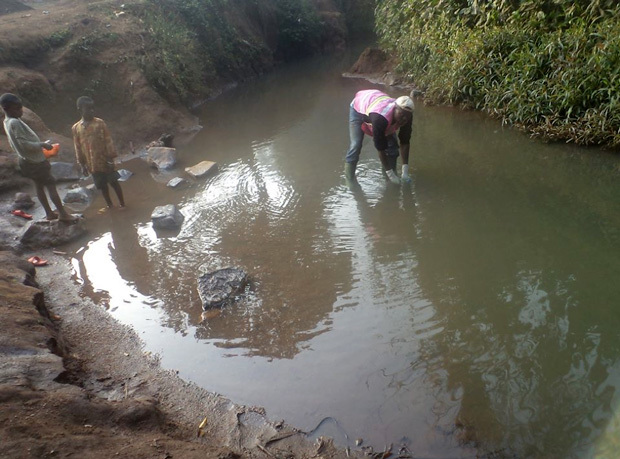 The first steps to a greener Nairobi River have been taken as demonstrated above. It is still early days in this journey, undoubtedly challenges - new and old - will surface on occasion, but if the current support carries on and grows, Nairobi River will be green. Support Cherotich Kenei's further research on this topic in our crowd-funded journalism section! Water is one of our most critical resources, but around the world it is under threat. This timeline shows a selection of water conflicts since 2000. Deaths from water related conflicts in Kenya have risen from 200 yearly in 2009 to 1200 according to data from police and security agencies, with conflict areas expanding in a damning revelation that places water as the next oil as supply dwindle. Kenya is not new to water wars. But they have been concentrated in the dry North Eastern area which is predominantly occupied by pastoralists. Water conflict in these areas is as old as the resource itself. Years of failed rains have meant that pastoralists have to walk long distances in search of water and pasture for their livestock with the Pokot, Samburu and Turkana tribes, all pastoralists chasing the same scanty resource. This has birthed an inveterate rivalry and deaths have become a normal occurrence. Children as young as ten are taught how to use guns; to defend themselves and defend the little water they find from the enemy. The wars have crossed borders as pastoralists desperate for water cross to neighbouring Uganda and Ethiopia. But climate change which has affected the amount of rainfall the country receives is now fanning water wars across the country with even the government admitting that the scale of water related woes like crimes, and deaths is spiraling out of control. Experts now say a new but catastrophic trend is emerging with more water related conflict incidents being recorded in slums and in recently introduced county governments. According to security companies’ and Kenya police records, at least one hundred incidences are being recorded daily across the country. “Forget about the petty fights over one neighbour hood having water and the other going days without water. We are talking about murders, thefts and muggings. 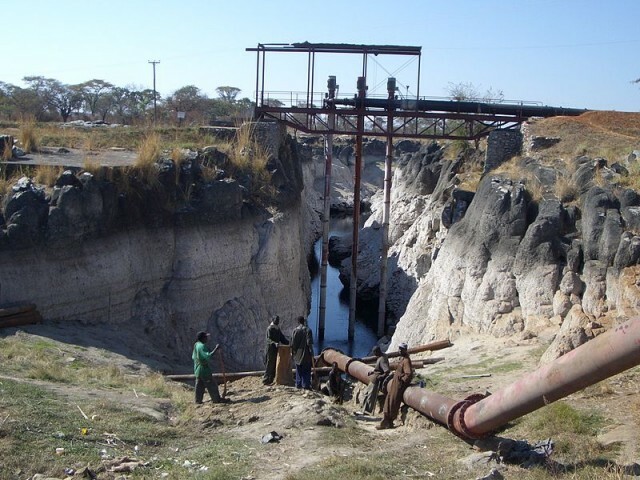 It has become so desperate to an extent of now having policemen man certain waterpoints where the conflicts happen,” said Muli Kathoki a retired police officer working as a consultant on conflict resolution. Beryl Nyamweya a mother of three turned widow knows the scale and results of water conflict in the city. Living in Kibera, Nairobi’s largest slum which houses over 200,000 people, she lost his husband who was the family’s breadwinner, in a conflict over water which turned tragic. With uncoordinated structures and neglect by the government, both county and national, residents of the slum are left to search for water on their own. Desperate, they employ all tactics to have at least a jelican for the day. Scenes of theft and illegal disconnections of water pipes by young unemployed youth who later sell to locals, are an everyday occurrence. It is usually survival for the fittest as the slum dwellers scramble for the precious commodity. Such is how the late Lazarus Nyamweya, husband to Beryl met his death. “The young boys brought a long pipe and signaled us to go buy. Everyone was running all over. We had stayed for a week with no water at all. My babies were weak, sick and emaciated. My husband couldn’t wait. He picked the jelicans and run to the water source,” recalled Beryl pensively. But by the time Lazarus was getting to where the water was being a long queue had already formed snaking its way across the shanties. “He knew he could loose his kids anytime. He was ready to do anything to just get a few drops,” Beryl said amid sobs. Impatient of the line that didn’t seem to move, Nyamweya decided to jump the long queue and placed his jelican where the piped water was. A confrontation ensued and in the melee a group of young men started shouting at him forcing him on the ground and stabbing him endlessly. “I heard screams, then I saw people running in all directions, women wailing and calling my husbands name,” she said. She spotted her husband’s green shirt which was on the ground. Confused she ran to confirm what was happening. “And there lay my husband, immobile, lifeless, but with the yellow jelican clutched to his hand with the last two drops coming from the jelican. An image I carry in my mind to date,” recalled Beryl. While cases of stabbing are not very common, police say fights, and theft of water in the slum is becoming serious every day. Last month for example the police incident report indicated that 70 water related cases were reported daily. It also emerged that young men were jumping to the neighbouring Lang’ata and Highrise estates that houses an increasingly middle class and stealing water which they sell to the slum dwellers. It has become a very well coordinated system with a water cartel that determines who gets water when. But the newly devolved county governments are equally feeling the heat as different counties scramble for major water catchment areas. Traditionally Kenya had a national government and resources were shared among the citizens. But county governments, keen on securing key resources with the aim of enticing investors are demarcating boundaries which are fanning inter county squabbles. This is especially on water towers as most of the people in the counties are farmers. And there is no let up in these wars. The weather men are telling us to brace ourselves for even more depressed rains in coming years. With population growth on a meteoric rise the country is headed for a major catastrophe if it doesn’t put in place clear guidelines of managing and sharing the limited water we have. These conflicts by the look of things will be bloodier than the traditional tribal clashes,” said Muli. The monsoon floods of 2010 were the worst in Pakistan’s history. Nearly one-fifth of the country was inundated by floodwater and some 2 million homes were destroyed or damaged. Around 2,000 people were killed and more than 21 million people forced to flee the rising waters. The impacts on people’s health and livelihoods were devastating, and the cost to Pakistan’s economy ran into billions of dollars. Oxfam and other international agencies responded as best as they could to Pakistan’s plight, but humanitarian assistance was only able to provide partial relief from the consequences of a national crisis of unprecedented scale. Subsequent floods, while not quite as cataclysmic as those of 2010, have added to the catalogue of Pakistan’s woes. No end to this cycle of annual disasters is in sight. The climate change that is likely contributing to increased rainfall in the Indus River catchment shows no sign of reversing, and under different scenarios flooding is likely to become worse and/or more frequent in the future. The patterns of river basin mismanagement and social inequality that render so many people vulnerable to flooding are no less entrenched, as is the political system that makes long-term recovery and reconstruction such an uncertain prospect. Despite this unpromising background, Oxfam has learned important lessons about the ways in which lives can be saved and livelihoods transformed in Pakistan – lessons that can also be applied in other disaster-prone environments. We know already, of course, that prevention is better than cure, that prediction and preparation are preferable to reaction and response. The challenge, however, is how best to prepare a country and its communities to counter and manage the risks that natural and other disasters present. The Pakistan floods are an extreme case, but well-planned interventions can deliver surprisingly quick and effective results. When the 2010 floods struck, households in Punjab Province participating in Oxfam’s Community-based Disaster Risk Management and Livelihoods (CBDRML) Programme received an average of two days’ advance warning of the floods, which was twice as long as comparable households outside the programme. They therefore had more time to get ready and evacuate, and a subsequent evaluation showed they lost far less grain and far fewer livestock and other farming assets as a result. The programme had only been operating for 18 months, so how did households achieve this level of preparedness so quickly? An in-depth follow-up study found that Oxfam’s local partners, the Doaba Foundation and the Help Foundation, had bridged the gap between villagers and authorities when it came to early warning of flooding. Local people felt empowered to demand information from government authorities about river flows and levels, and in language they could understand. Once received, the information was swiftly disseminated through the participating communities and people trusted the information enough to act on it. In this way early warning information 'flowed faster than water', and communities were able to evacuate in good time. This success was achieved using tried and tested participatory methods, not any special technical fix, and is therefore an approach that can be readily reproduced elsewhere. The CBDRML Programme saved people’s livelihoods, but did not transform their lives. More recent research by Oxfam has made it clear that deeply entrenched inequalities can determine the course of flooding and its impacts in a number of different ways. In some areas unscrupulous landlords have used flood protection programmes to safeguard their own land while deliberately allowing that of smallholders to be flooded. Some have used the erasure of boundaries and loss of deeds as a pretext for seizing the land of poorer neighbours. Others have forced their tenants to hand over the cash assistance they have received from government and NGOs. Most people who live in the rural areas affected by the floods are landless, and women are especially vulnerable in this regard. Since the 2010 floods, Oxfam has called upon government, donors and other stakeholders to place land rights, especially for women, at the heart of reconstruction programmes in Pakistan, as a means of securing effective recovery and tackling the poverty that bedevils the country and exacerbates the disasters that befall it. The Oxfam country office has also recommended the systematic inclusion of disaster risk reduction (DRR) policies and plans in all development programmes in the country. These recommendations are consistent with Oxfam’s global call for “a new approach to risk and poverty reduction”, which recognises that the international community and its constituents can only build resilience effectively by challenging inequality. A lot of work remains to be done to achieve this in Pakistan, but we are more certain now of the road than we were before the disaster of 2010. The interactive map provides a current introductory overview of worldwide water issues, policies and initiatives about our dossier theme.